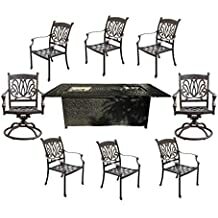 $909.00 Ohana 7-Piece Outdoor Patio Furniture Wicker Sectional Conversation Set - dealepic . Includes 2 Corner Sofas + 4 Middle Sofas + 1 Coffee Table. 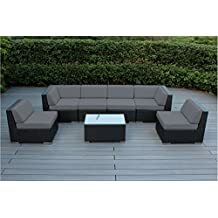 This Ohana 7-Piece Outdoor Patio Furniture Wicker Sectional Conversation Set comes with cushions.